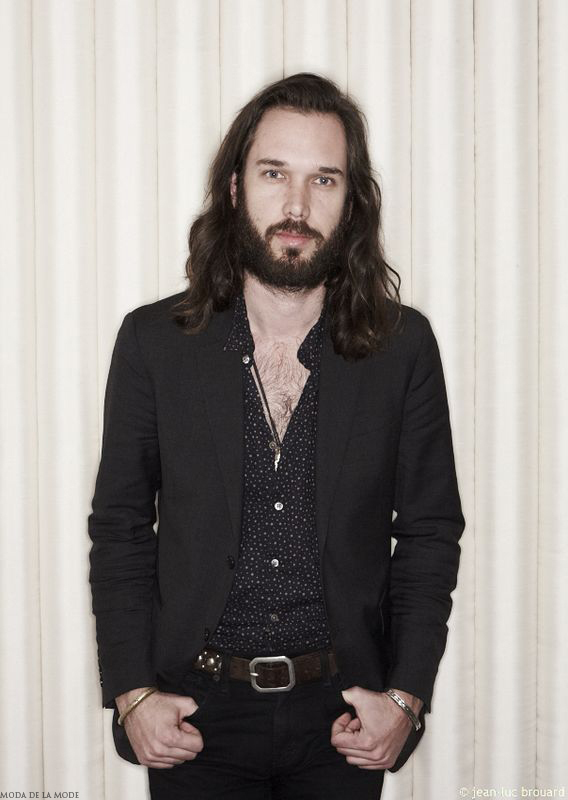 Bohemian but smartly dressed, Elliot Bergman, is one half of the Chicago musical duo, Wild Belle. He sings one song on their album Isles, leaving his sister Natalie to sing the lyrics. What he lacks in vocals he makes up for in his instrumental capabilities whilst also having an impeccable sense of style. It is quite simple, he does nothing out of the ordinary and in fact his clothes although extremely beautiful are nothing you or I cannot own. The secret is, he knows which styles work best for his body shape and he combines this with a look he feels comfortable in... et voilà. A style icon is born. Whilst interviewing Elliot for a feature in issue 3 of Moda de la Mode magazine, he spoke of his favourite shopping locations. In London this consists of the small independent vintage boutiques that are nestled neatly along Portobello Road such as the 282. Whilst he sat on the sofa, chatting away to us about life on the road, he was dressed casually in black jeans. A dark patterned shirt, unbuttoned to show some chest accompanied the jeans and the whole outfit was topped off with a silver pendant, hanging around his neck. The relaxed outfit matched his down to earth personality perfectly. His clothes told a story, not just of his sartorial taste but of his travels. Each item of clothing had been carefully hand picked from boutiques across the globe but when worn by Elliot they possessed a friendly, rock and roll quality as if they had been part of his world for years. This proves that not only is Elliot a style icon but also it is not what you wear, but how you choose to wear it.